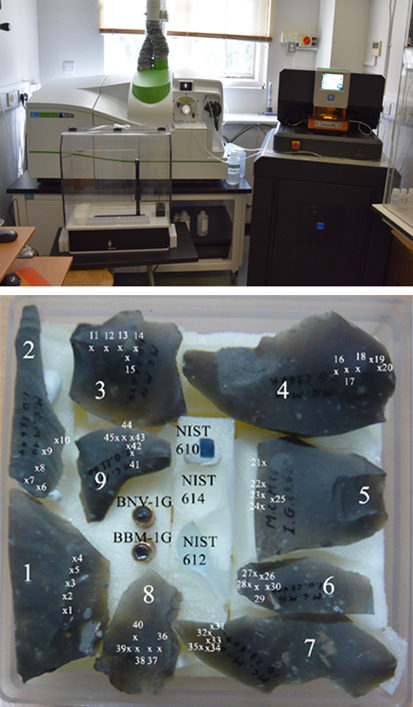 Using Romania and Belgium as case study areas, PALMOBI brings together geochemistry, petrography, lithic technology, GIS, and environmental modelling to explore mobility during the Early Upper Palaeolithic (EUP) between 36,000 and 30,000 years ago. In the analysed lithic assemblages, what is the geographical origin of the raw materials used for tool manufacture? Do transfer distances correlate with raw material frequencies, intensity of use and manufacture stages represented on site? Aurignacian and Gravettian hunter-gatherers faced unstable and deteriorating climatic conditions towards the Last Glacial Maximum. To what degree do EUP technological systems correspond to different risk-minimising strategies? In relation with raw material availability, difficulty of terrain and travel time, to what extent do mobility costs affect lithic resource management and overall lithic assemblage variability? Is social inequality the inevitable outcome of human evolution? Why and under which circumstances did it emerge, grow, and persist (or not persist)? These are among the most challenging topics to be addressed through archaeological research.